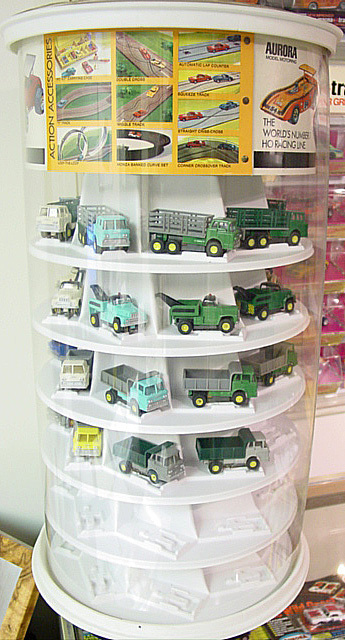 Display is very well made with masonite type base, plastic shelves with pre-formed indents for 6 HO cars (wheels and flag) and 2 1/32 cars on each of three shelves..
One would imagine that the display was made in a "run" of 10-50-100??? but this is the only one I have seen or heard about. 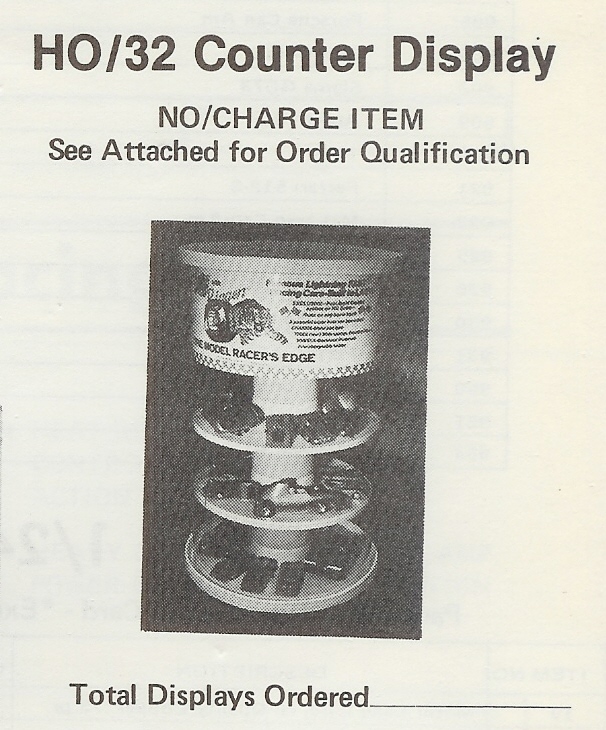 The text includes a "copyright 1975" so it's a fairly late Riggen piece and the combo of HO plus 1/32 was a common theme for Riggen with shared body styles between scales as well as the famous combo 1/32--HO set they offered.